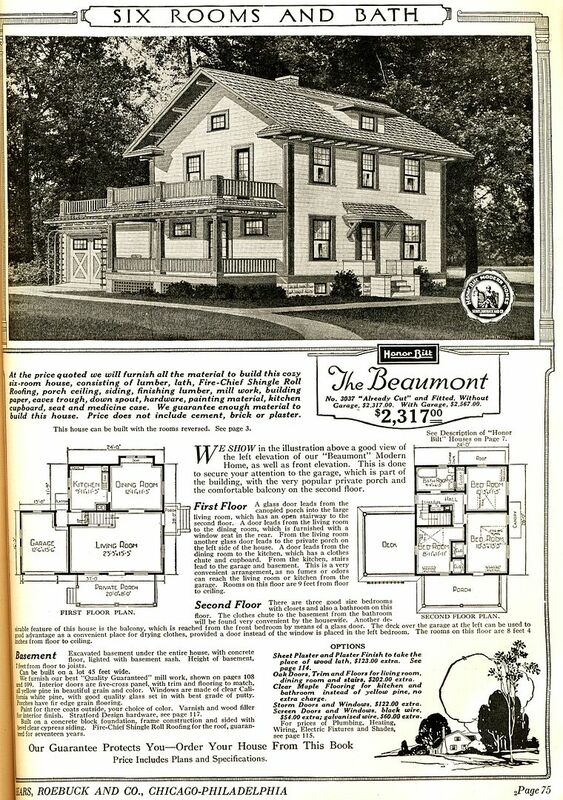 When Rebecca and I were reviewing and comparing our Life Lists, Rebecca identified the Sears Beaumont as one of the Sears Homes that she’d never seen. 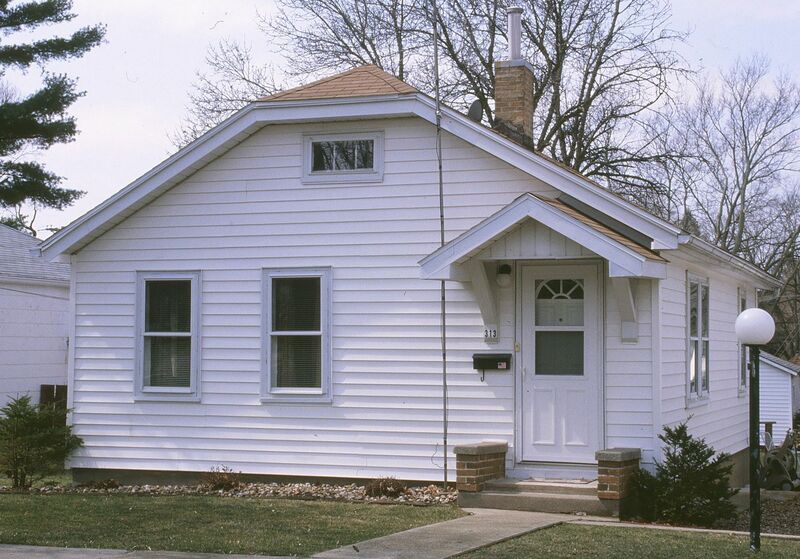 In 2004, I gave a talk in Carlinville on Sears Homes. The event was organized by Beth Kaburick, Head Librarian at the Carlinville Public Library. I was so impressed with her professionalism and her passion for Carlinville’s history. I had first met Beth in 1999, when I spent countless hours at her library, researching Sears Homes, first for an article, and then later for my books. 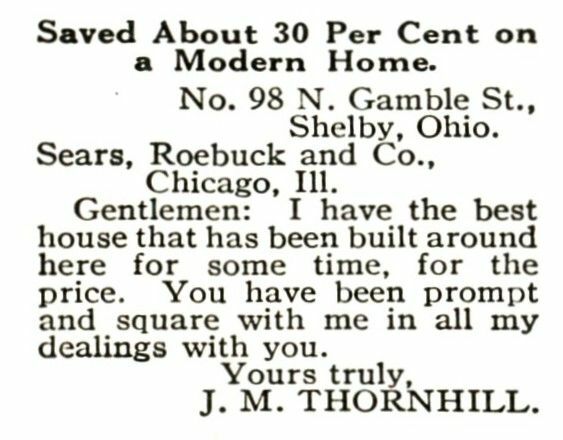 It was after that talk that someone told me about a Sears Home outside of Standard Addition (where 150 Sears Homes are located). The gentleman gave me the street name but wasn’t sure of the specific address. Immediately after the talk, I drove up and down that street - in the dark - trying to figure out which Sears House I’d missed! 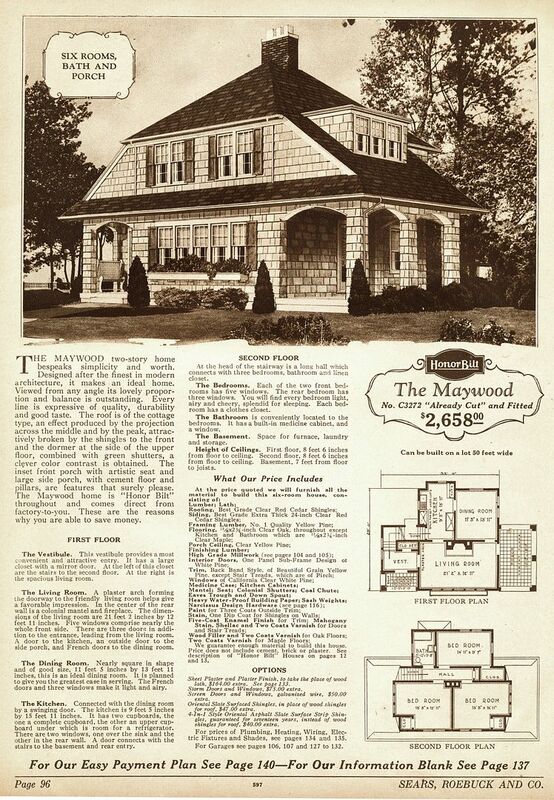 As the author of several books on kit homes, I’d driven on that street too many times to count, and had never seen any Sears Homes. 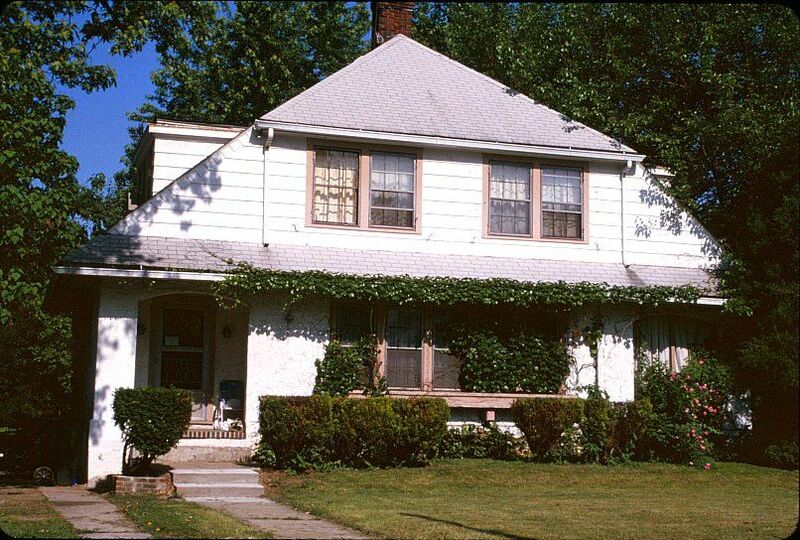 And there in the dark, I saw an interesting Colonial Revival/Bungalowish-type house with a familiar-looking attic window. 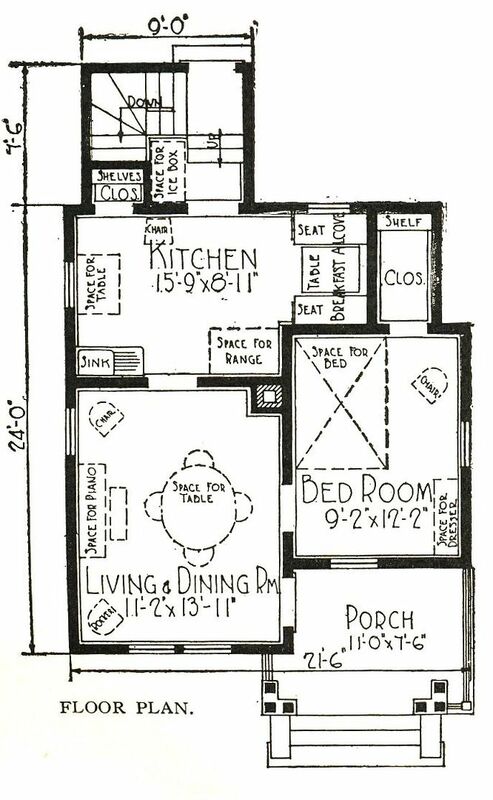 I grabbed my dog-eared copy of Houses by Mail and hastily thumbed through it and found my match: The house I’d found in the dark - thanks to a kind stranger at a lecture - was a Sears Beaumont. That was eight years ago, and it was (and remains) the only Beaumont I’ve ever seen. 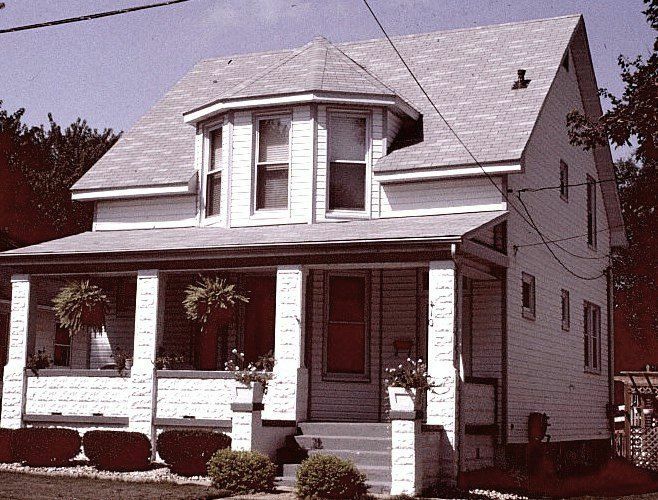 To see vintage pictures of Carlinville and Schoper, click here. 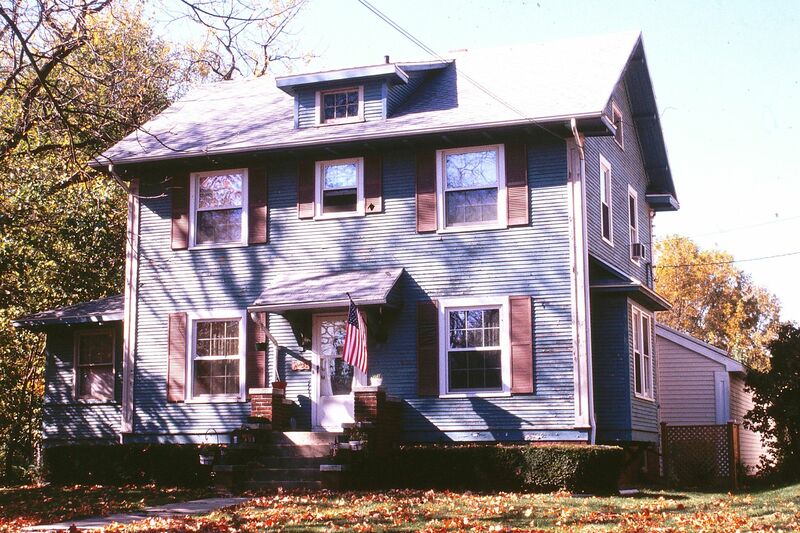 To read about the woman who supervised the construction of Standard Addition, click here. 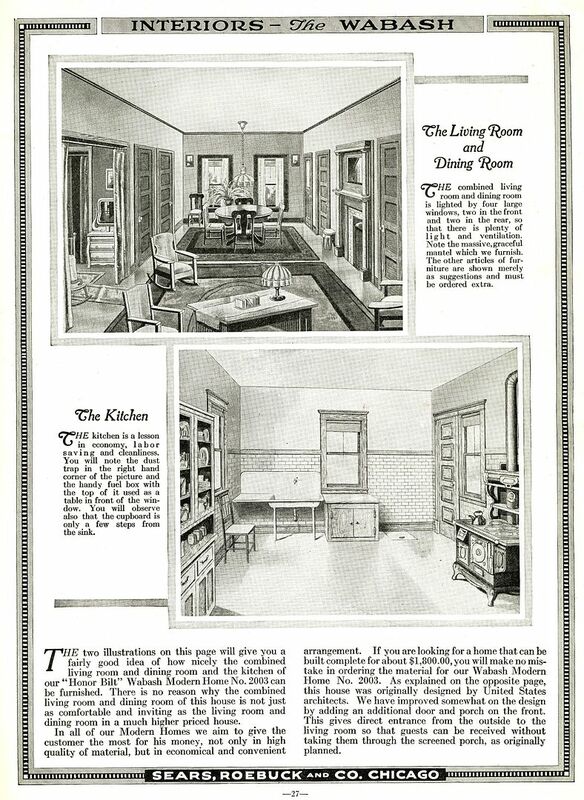 In the 1919 catalog, the heading proclaimed that the Beaumont had "Extra convenience." Unfortunately, the text in the body offers no clue as to what they're talking about. 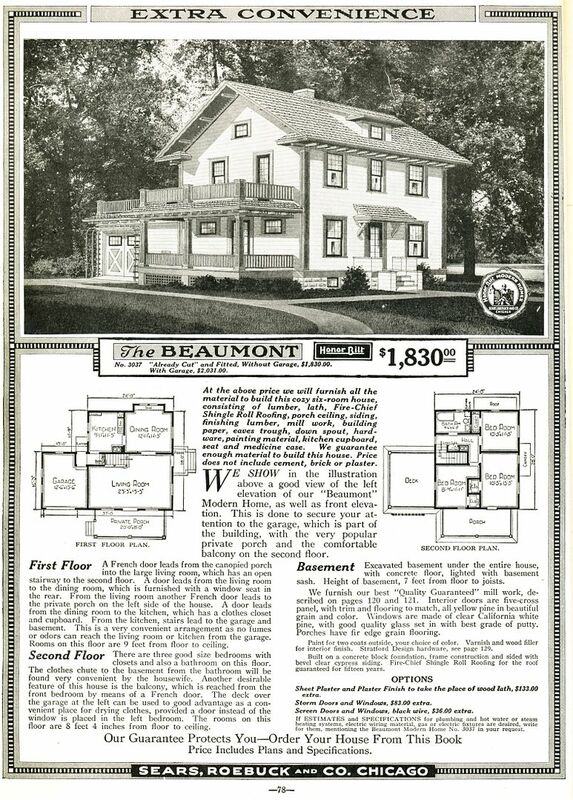 In 1921, the price on the Beaumont increased $500 or about 26%. Pretty steep increase for two year's time. And apparently what it gained in price it lost in "convenience." 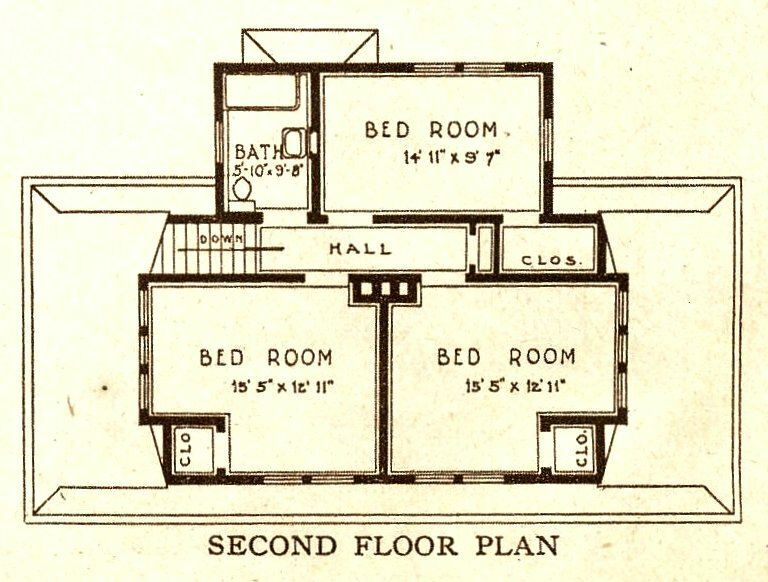 Now the heading had changed from the dramatic ("Extra convenience") to the pedestrian ("Six rooms and bath"). 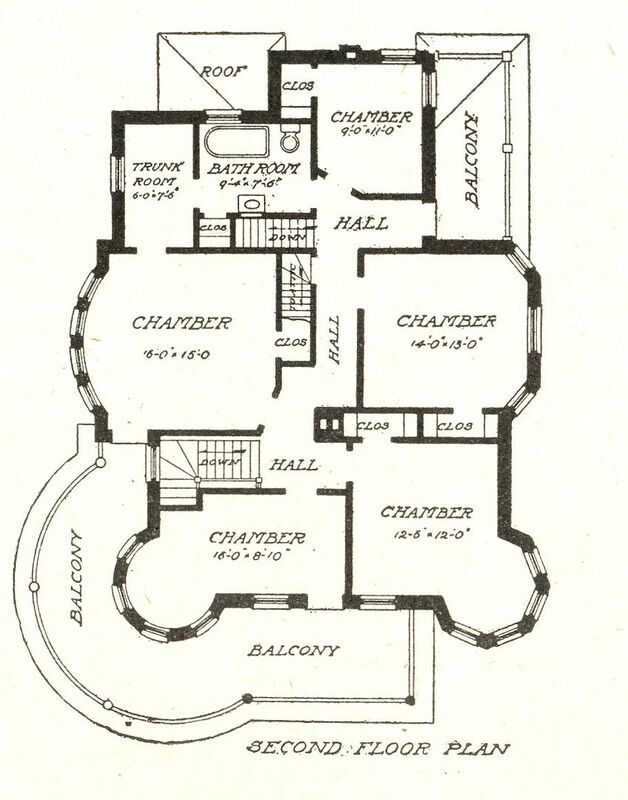 The Beaumont's floorplan (1921 catalog). The Beaumont, as it looked in 2004. 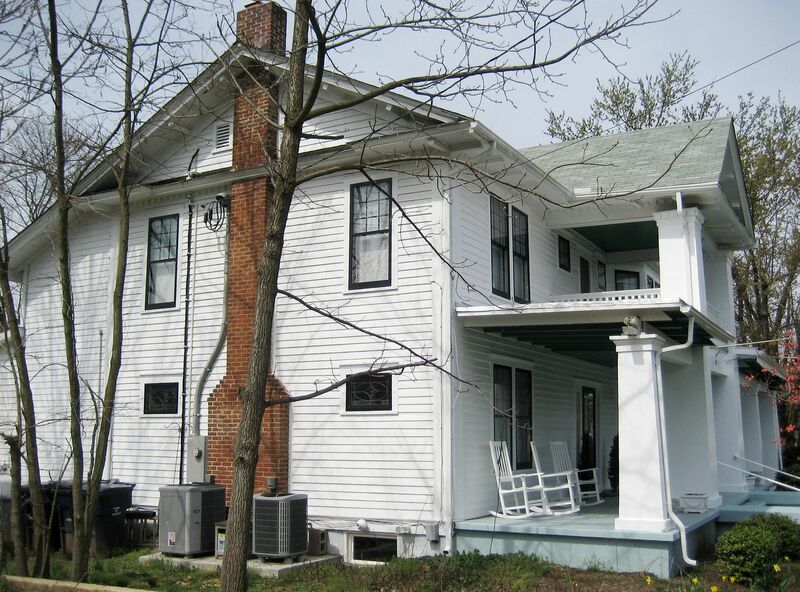 In February 2010, I traveled to Carlinville to do more research for my book, "The Sears Homes of Illinois." 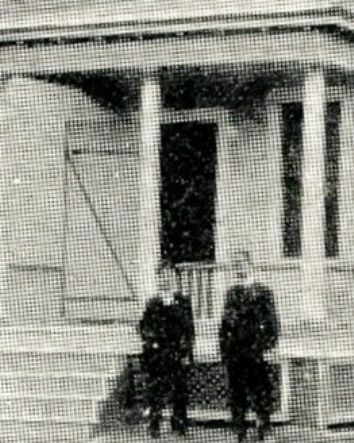 That's when this photograph was taken. 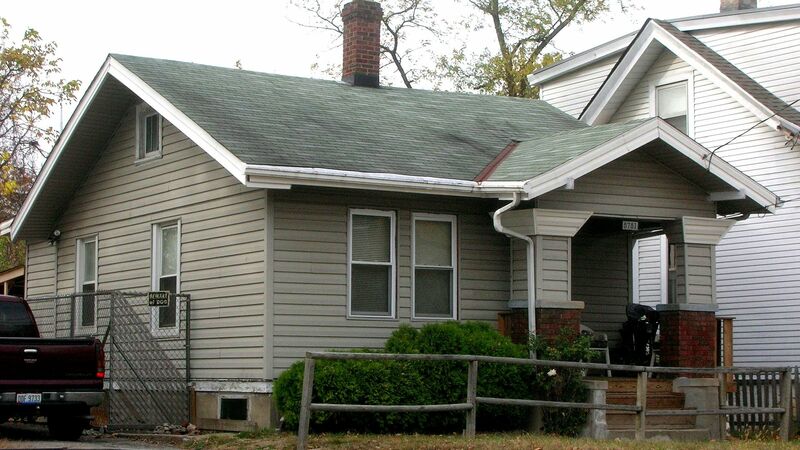 Notice, a plague of vinyl siding salesmen had descended upon the house since the last photo in 2004. 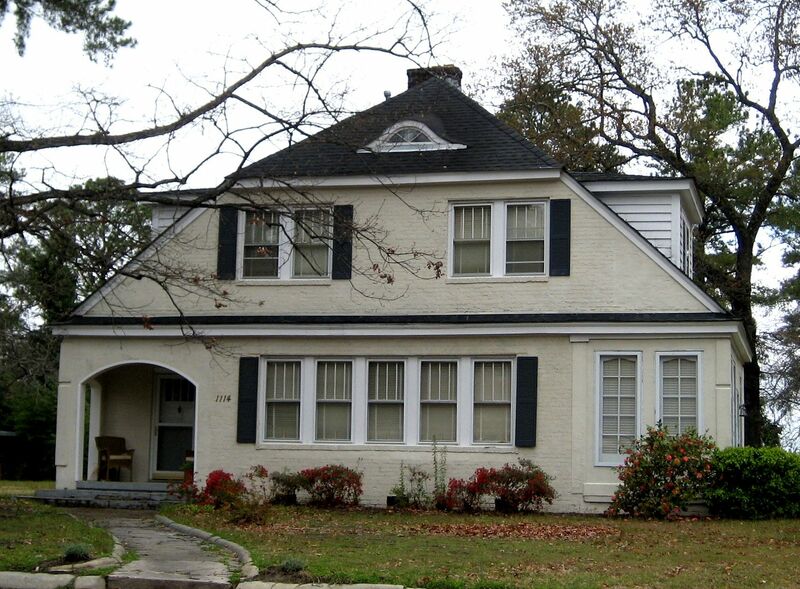 Another view of the Beaumont. That night, when I first saw the Beaumont, it was the attic window that caught my eye. 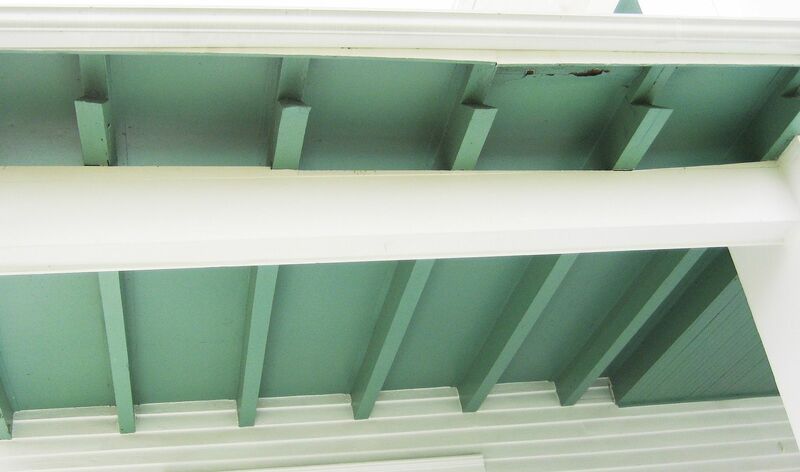 Nice match to the catalog picture! 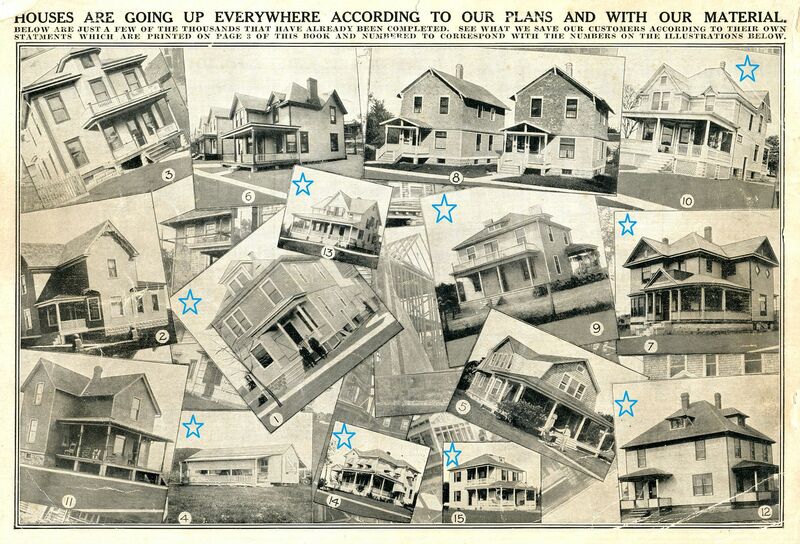 To learn more about the 150 Sears Homes in Carlinville, click here or here. 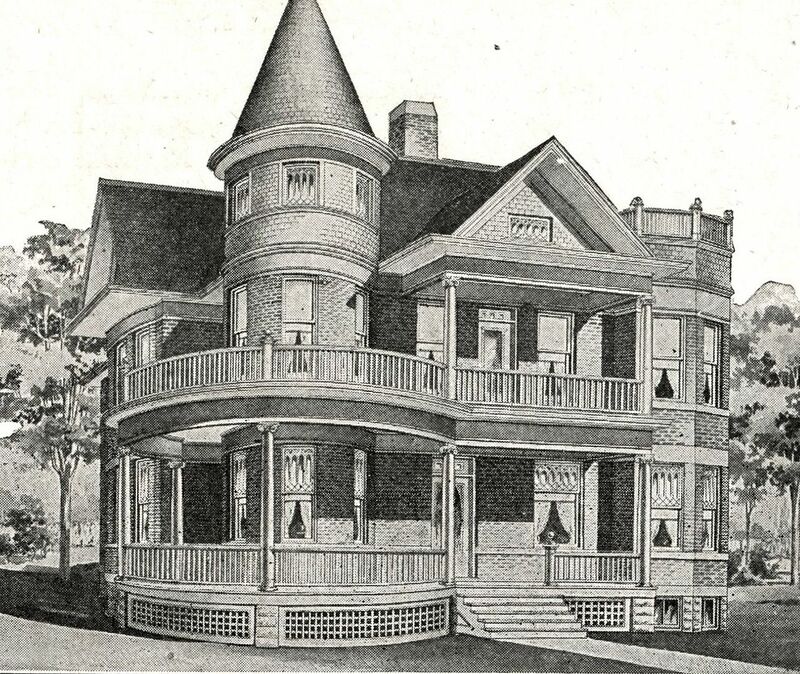 A Sears House Designed by “Uncle Sam”! 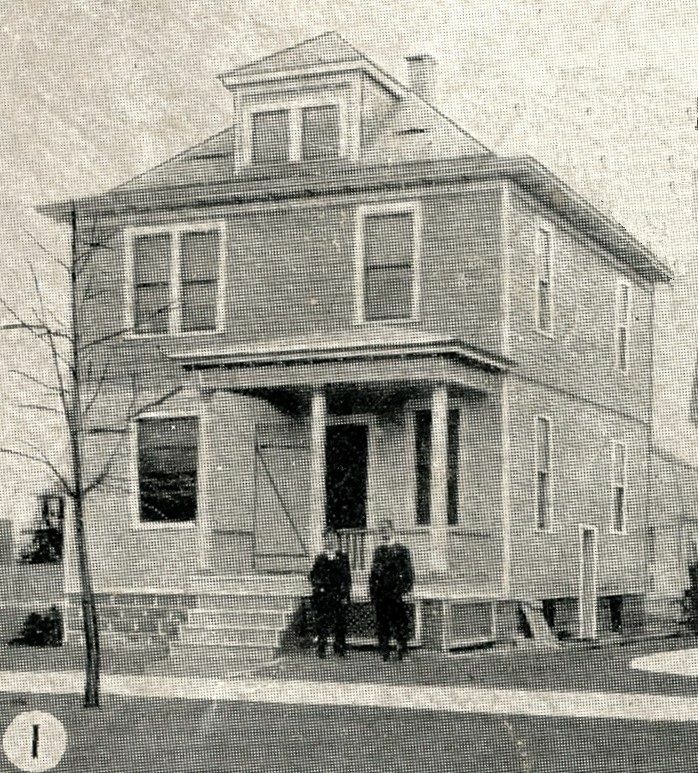 The house appeared in the Spring 1920 catalog, about two years after “The War to End All Wars” had finally ended (November 1917). 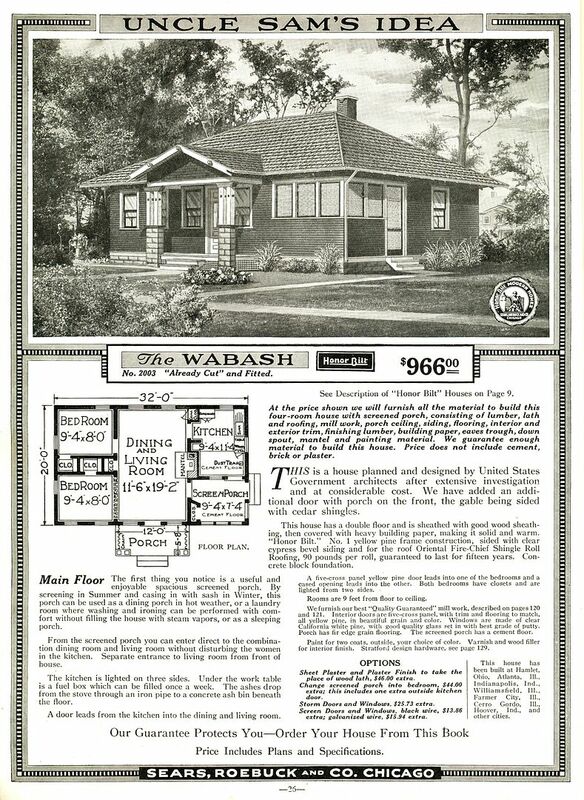 According to the original catalog page, The Wabash was built in Illinois (Hamlet, Ohio, Atlanta, Williamsfield, Farmer City, Cerro Gordo) and Indiana (Hoover and Indianapolis). If any readers are near those towns, I’d love to get a photo!! 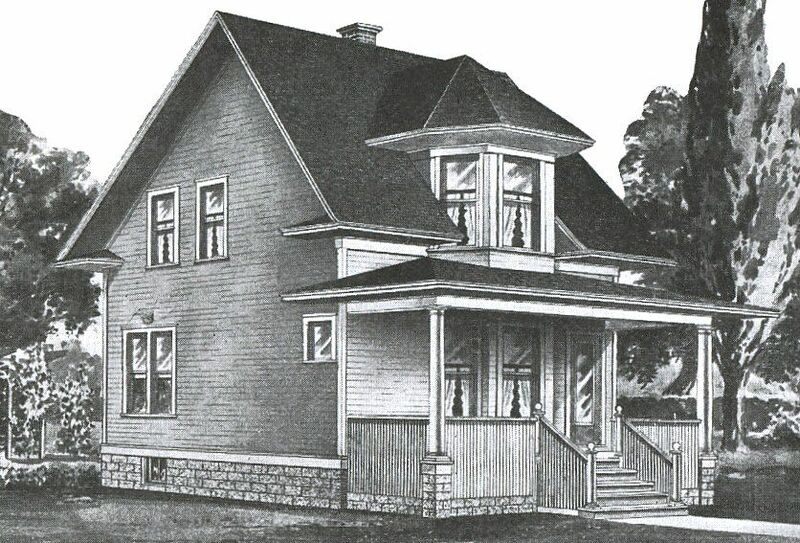 To read about a Sears House at the other end of the price spectrum, click here. 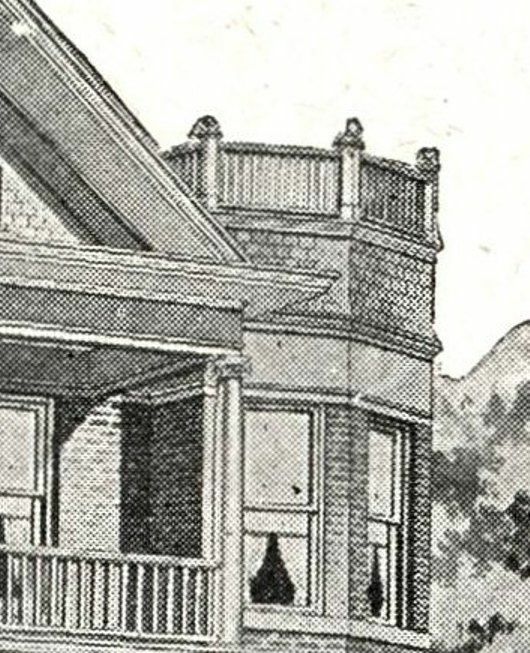 The Wabash, as seen in the 1920 catalog. And only two columns! 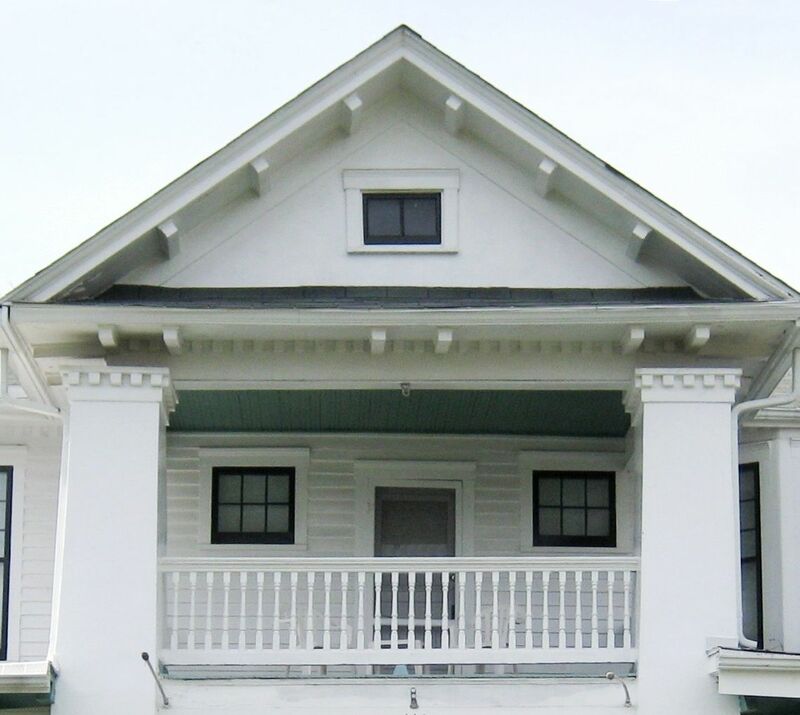 Take a look at the columns, Instead of the typical grouping of three columns at the corners, this house has only TWO. 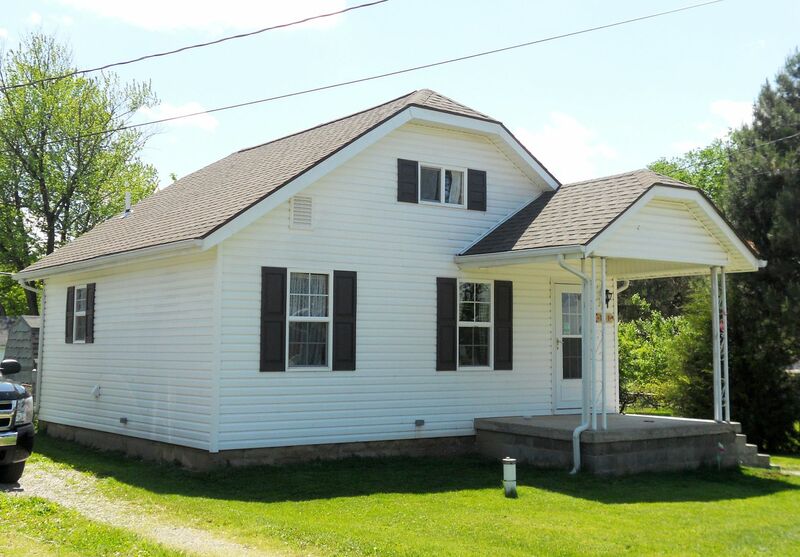 I guess that's how they made the house so darn affordable. 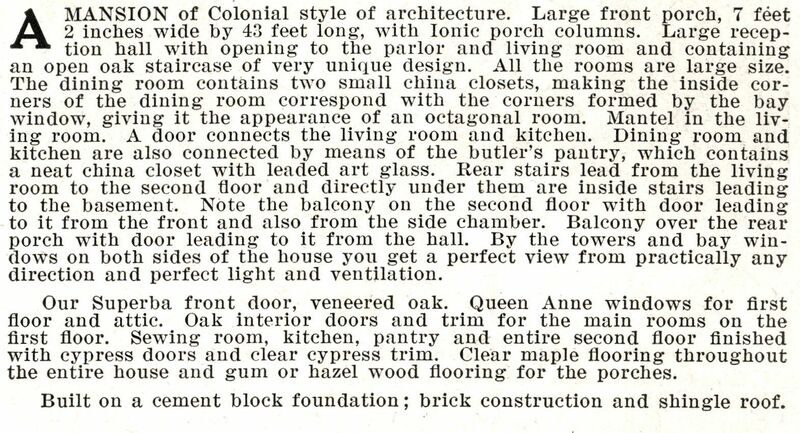 Interesting text from the catalog page (1920). 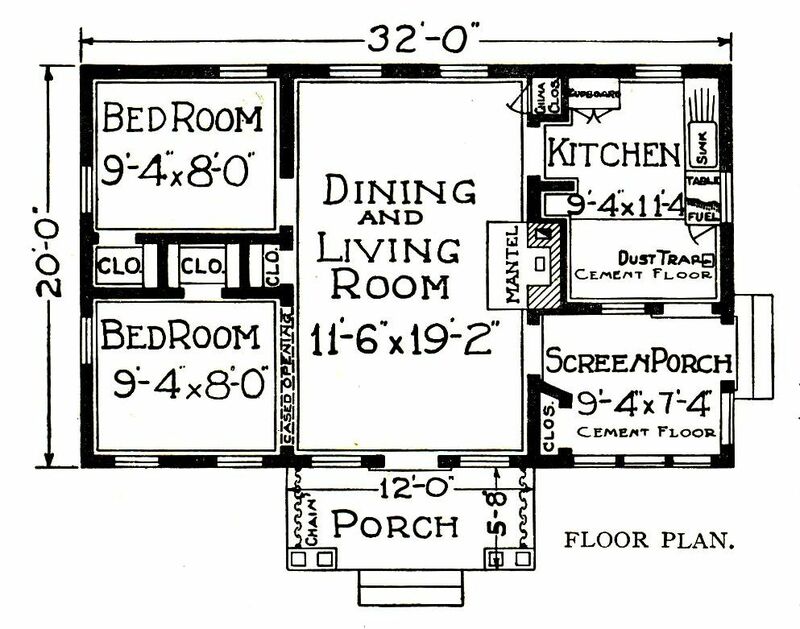 They must have thought a lot of the house because it was "featured" in the 1920 catalog, and had a two-page spread with interior shots. 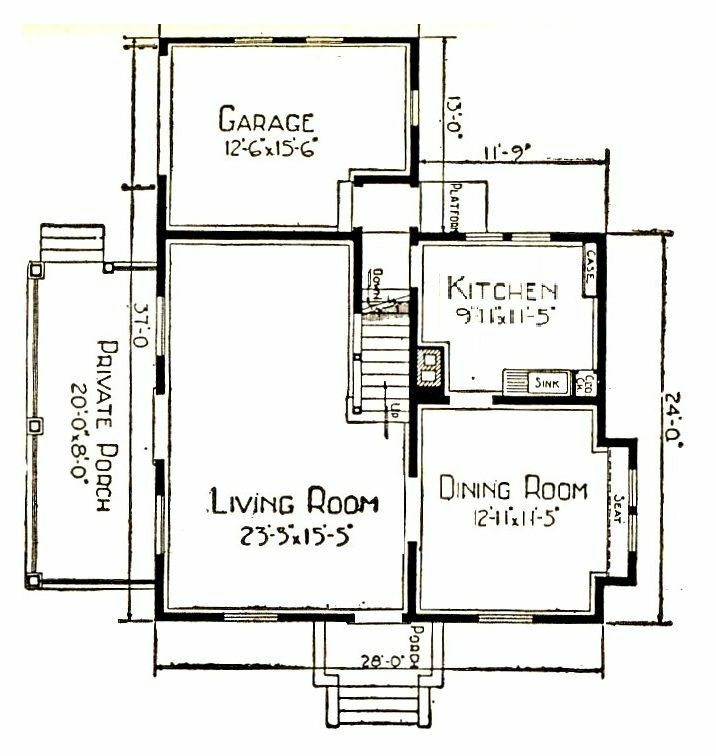 This floorplan is a puzzle. No bathroom and yet there's an open space "cement floor" that appears to be a mud room of sorts. 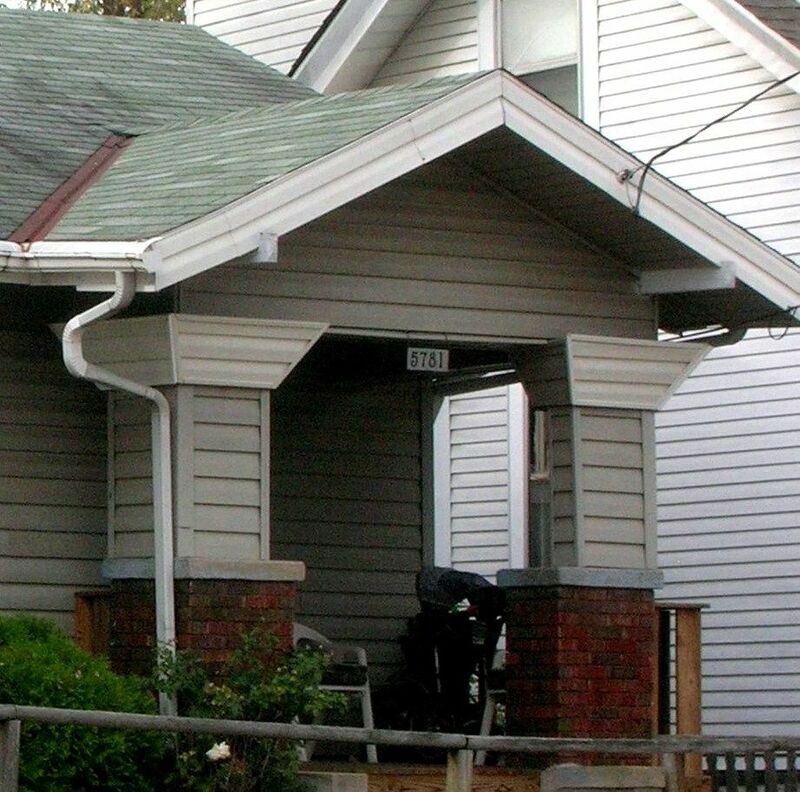 Seems like a waste of space in such a small house. This "dust trap" is really intriguing. I suspect it was a place to dispose of ashes and such. 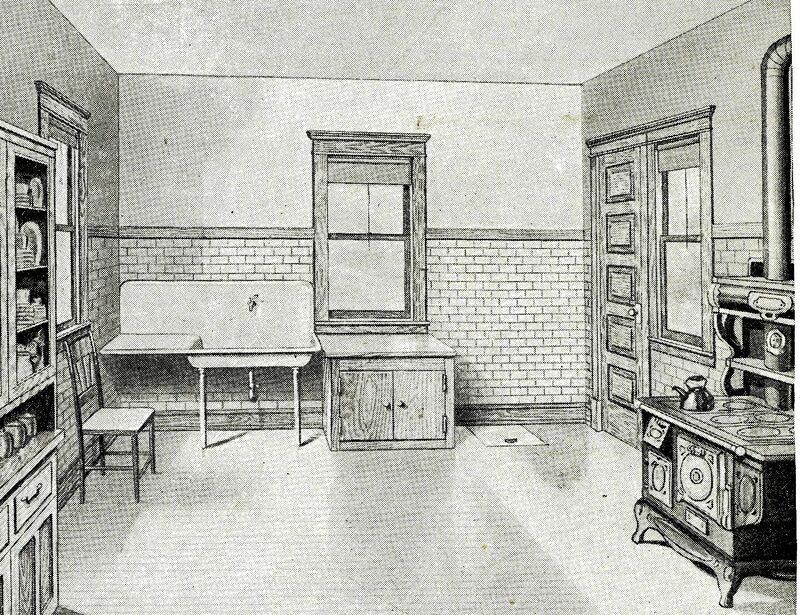 And what a fine kitchen it was! 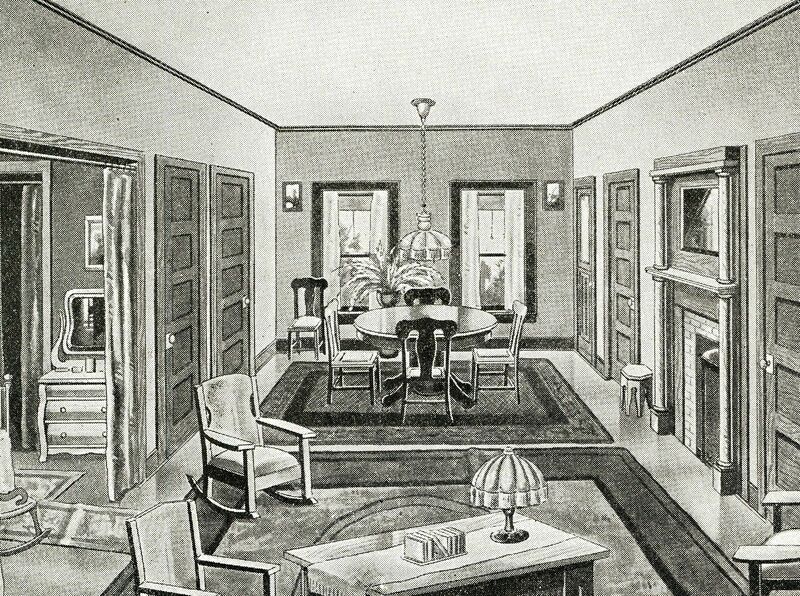 Did it really have subway-tile wainscoting? 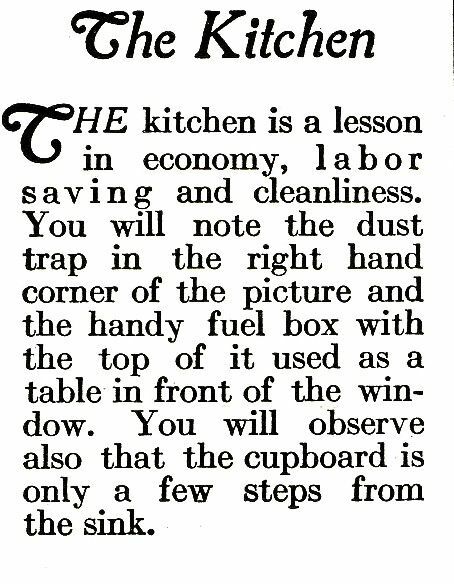 You can see the "dust trap" beside the wood box (beside the sink). A little more info on the "handy fuel box" and "dust trap." Spacious living room/dining room area. Sure would be nice to have a photo of the Wabash. 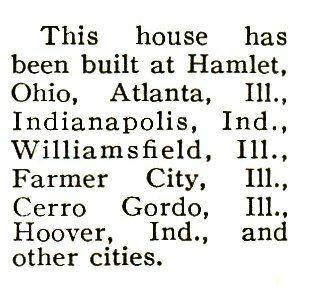 It was built in these cities. To read the blog written one year ago today, click here. 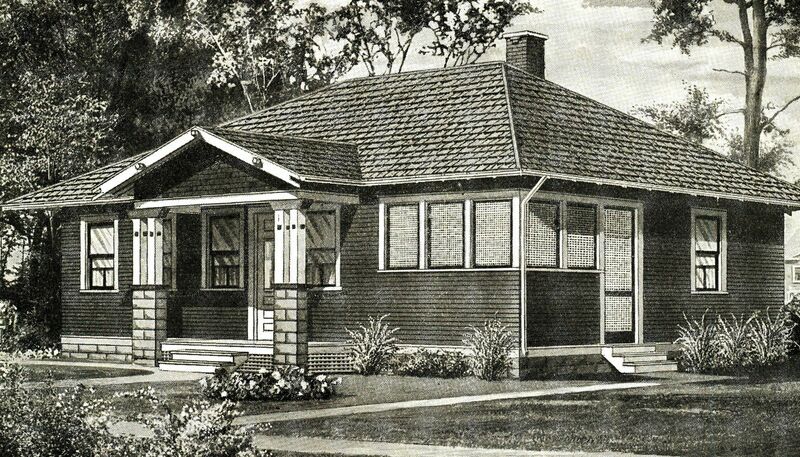 One of my #1 goals is to disabuse people of the notion that Sears Homes were extremely modest little houses. 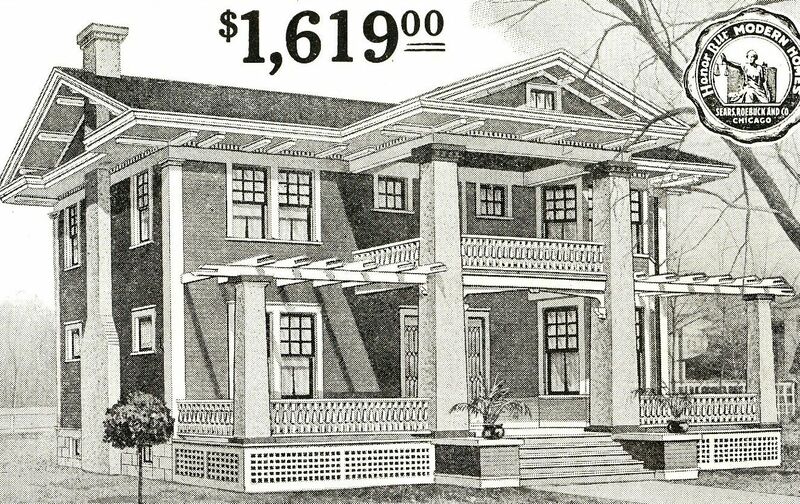 Yes, Sears did have several designs that were very modest, but they also had a few designs that were quite grandiose. 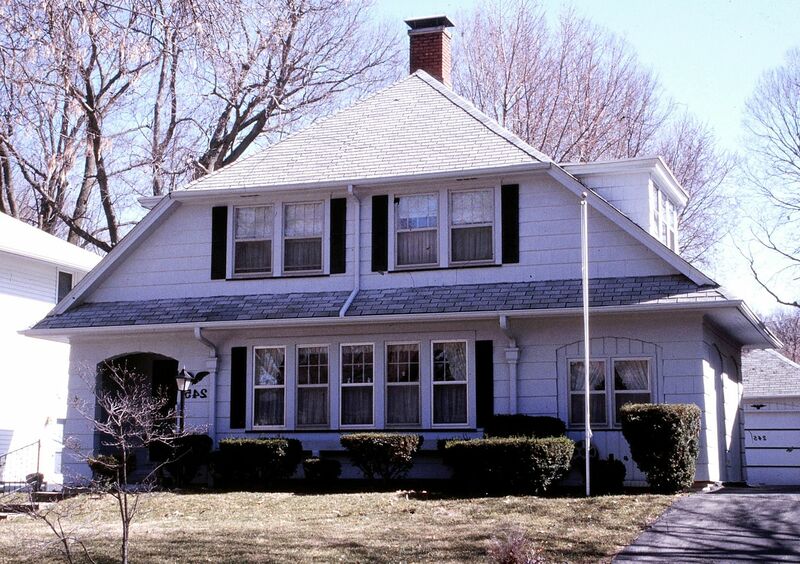 One of their most magnificent structures was the Modern Home #303. 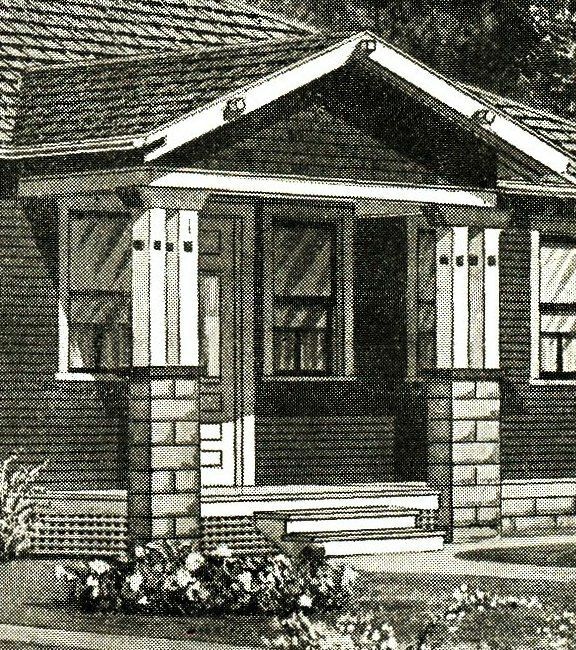 This model does not appear in Houses by Mail (a popular field guide to Sears Homes). 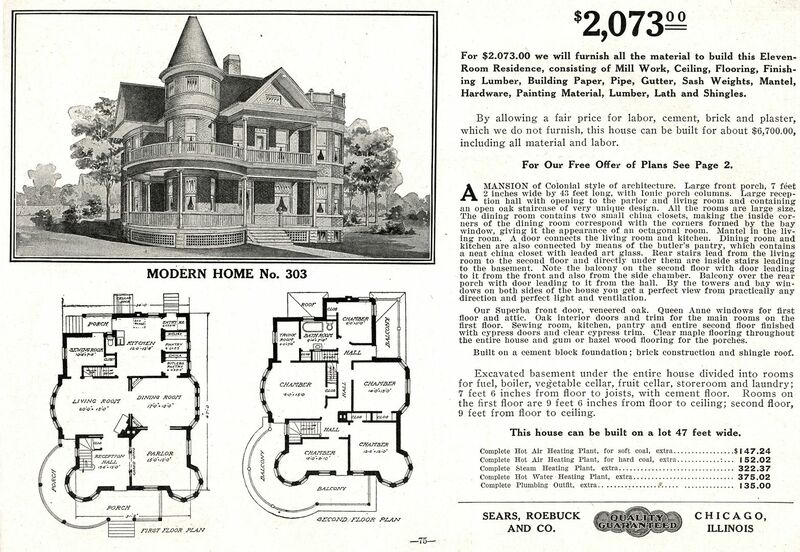 In fact, Sears Modern Home #303 appeared only in the very rare 1910 Sears Modern Homes catalog. 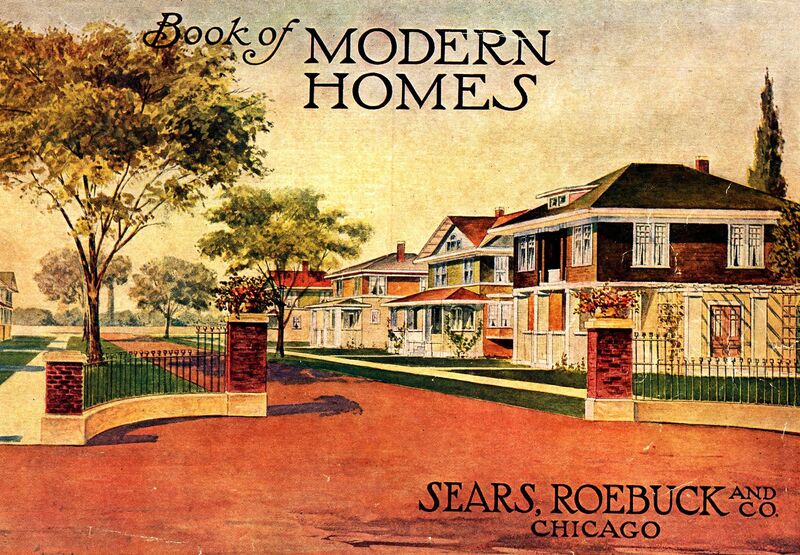 So it’s very possible that Sears Modern Home #303 was a pattern-book house that was “borrowed” by Sears, appearing in their 1910 Modern Homes catalog. And yet, I’ve never seen a good match to #303. 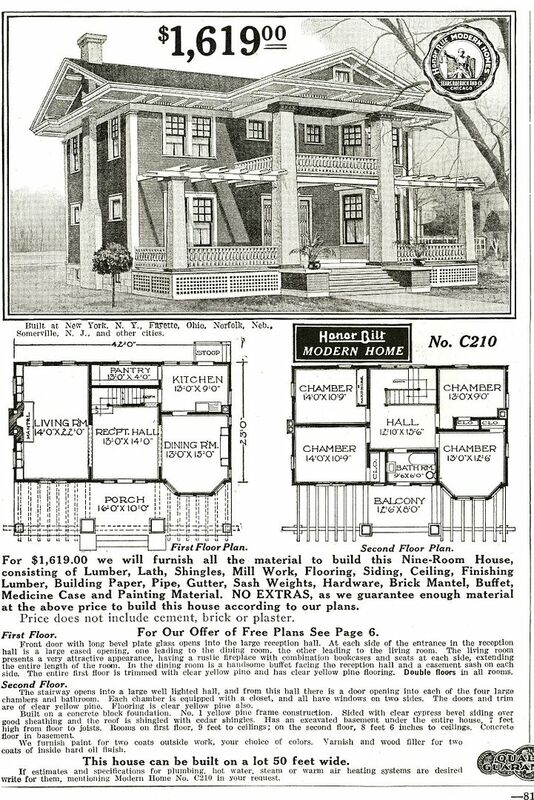 And if we ever do find a match, it might take some work to figure out if this house is the real deal (Sears Modern Home #303) or if it came out of a pattern book! 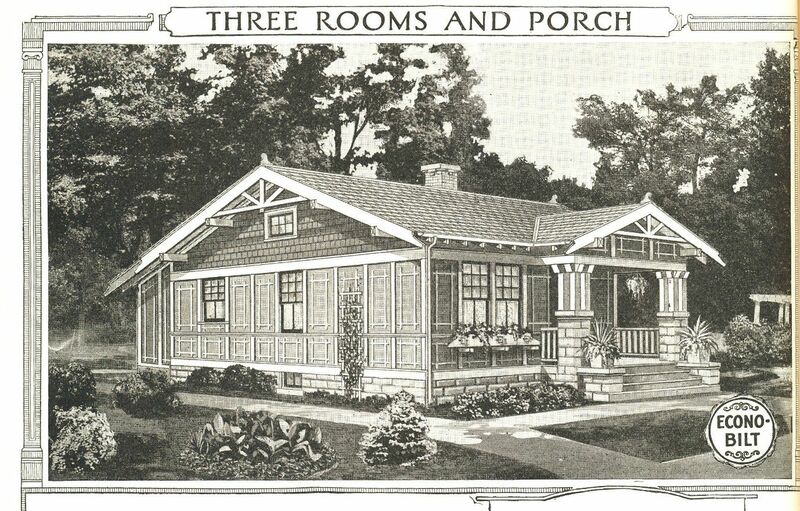 Sears Modern Home #303 appeared only one year - in the 1910 Sears Modern Homes catalog. 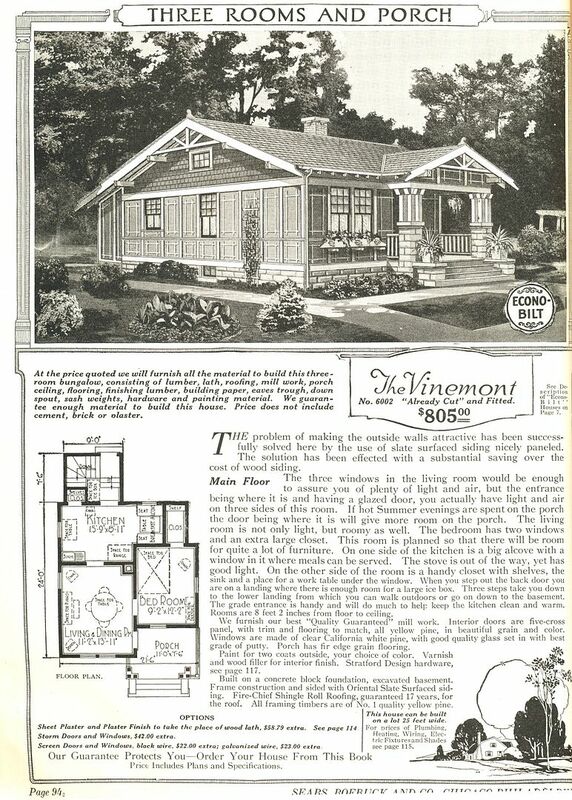 As you can see from the catalog page, this was quite a house! 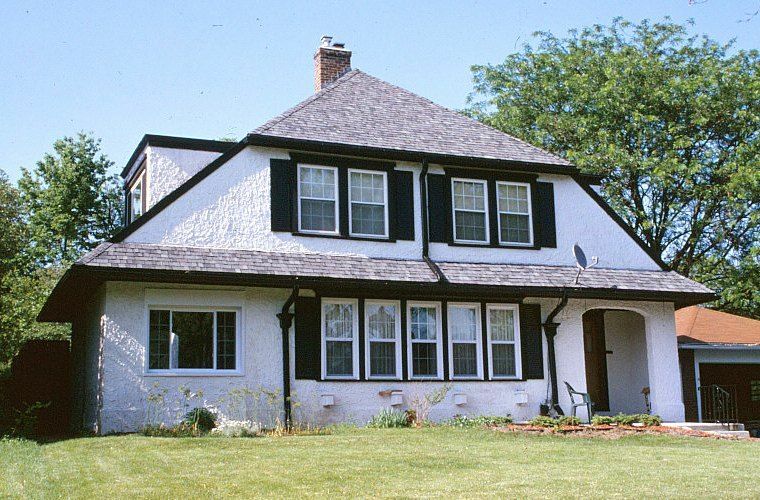 In the small print (just under the price), it's estimated that the house can be built for about $6,700 (which includes all construction costs). 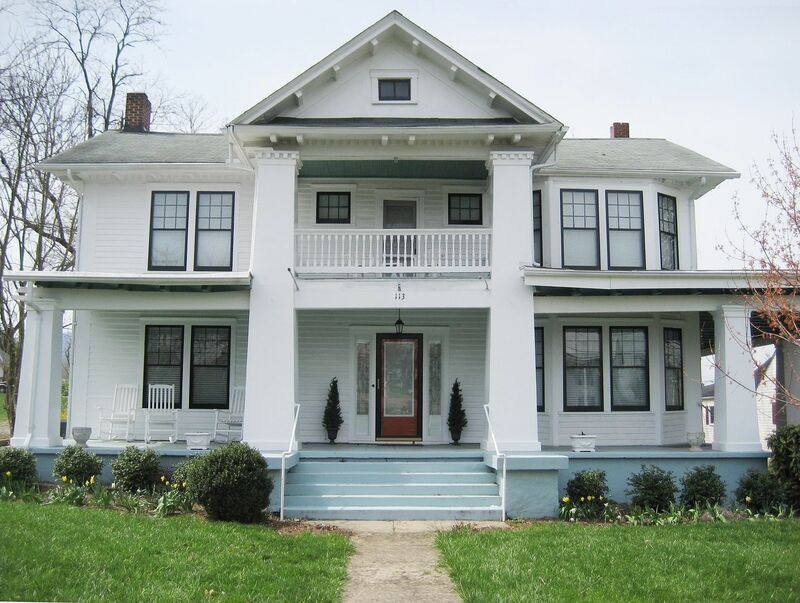 "A Mansion of Colonial style of architecture" and it has a Superba front door! 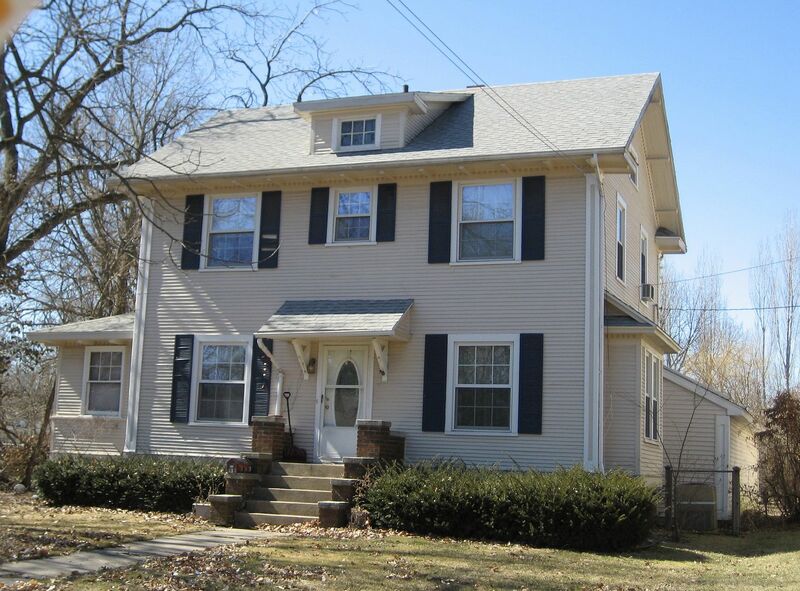 This 2,500-square foot house has very spacious rooms on the first floor. 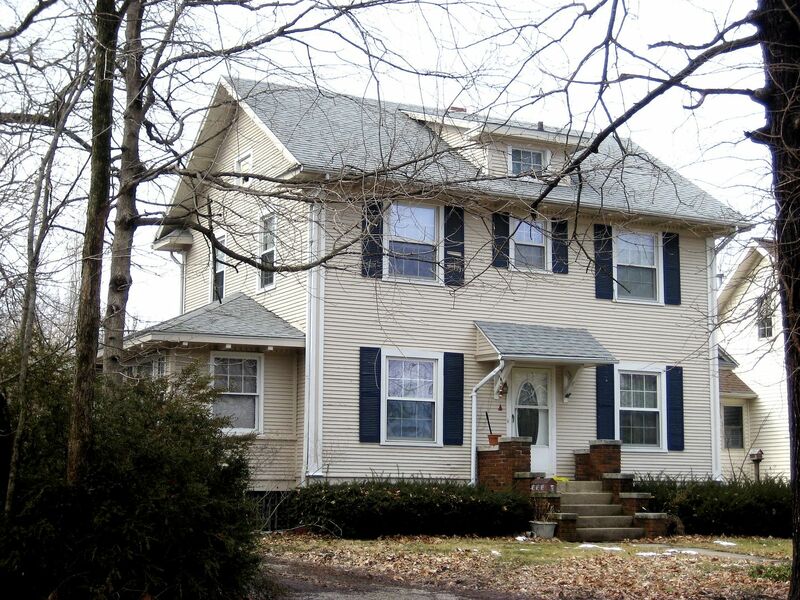 This house has a front and rear staircase, five bedrooms and a trunk room. The exterior has many distinctive features. 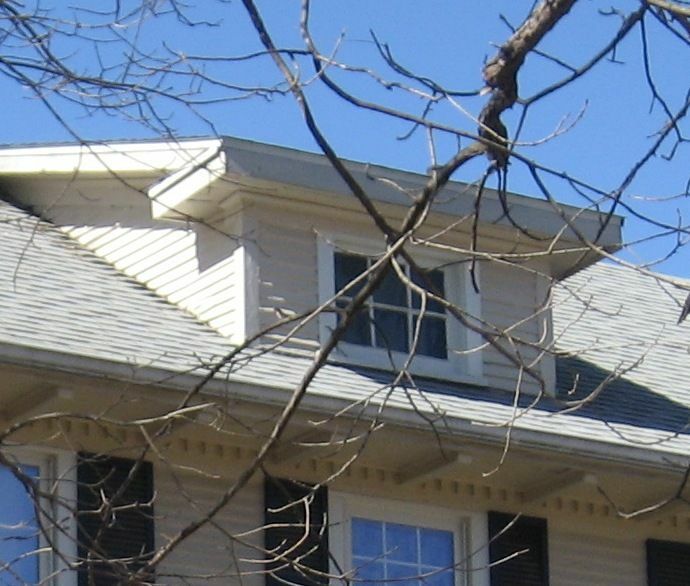 These small window sashes on the tower (third floor) are pretty distinctive. And this tower has a railing on top! 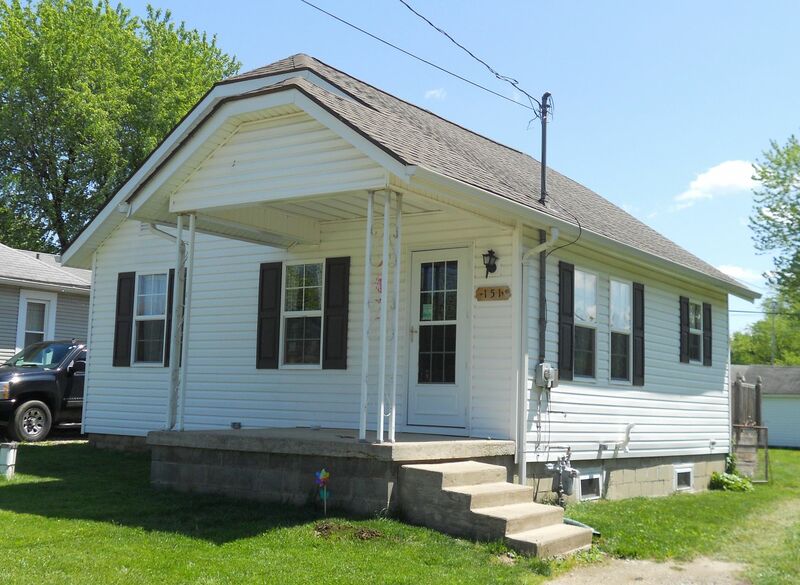 Have you seen this house? Please send me a photo! To read the next amazing blog, click here. The Frangible Fosgate or The Diminuitive Delevan? 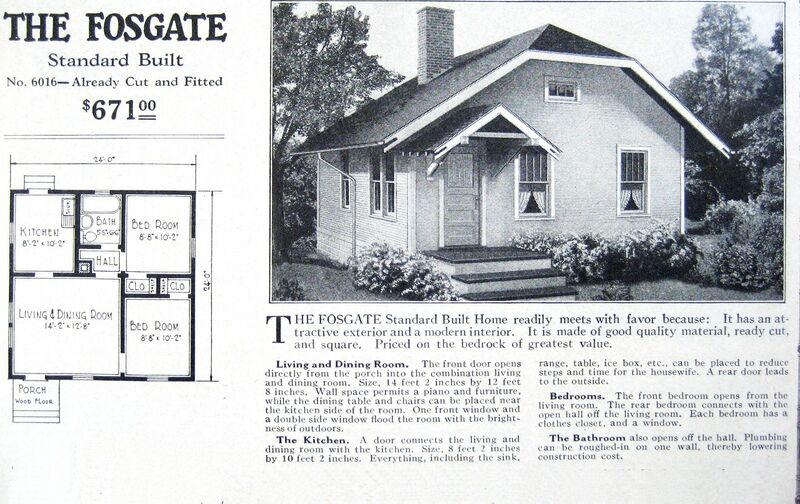 The Fosgate and Delevan were two very similar houses offered by Sears in the early 1920s. At first glance, I thought they were the same house, but after looking at the floorplan, I saw that the Fosgate was a little bigger than the Delevan. 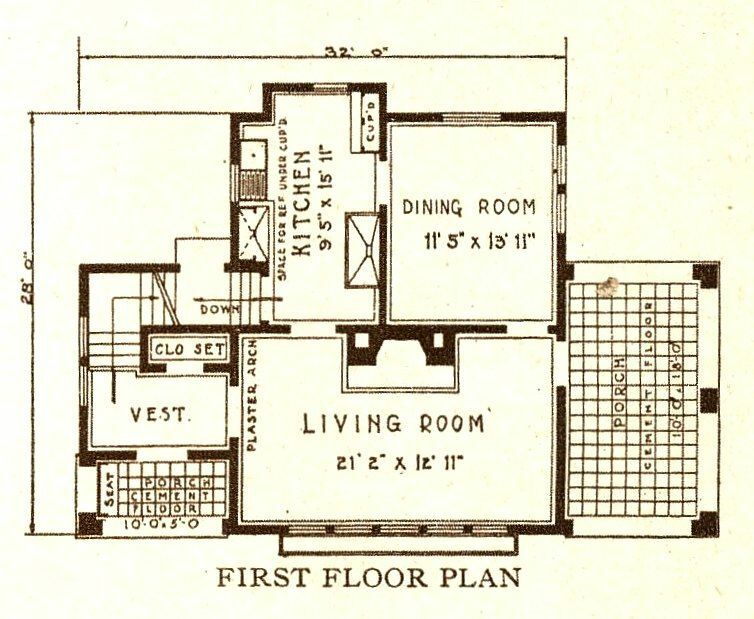 “Honor Bilt” was Sears’ best. “Standard Bilt” was pretty flimsy, and not suited for extreme weather or longevity. The Delevan was 22′ by 22′ (pretty tiny), and the Fosgate was 24′ by 24′ (a little less tiny). As a point of comparison, the Delevan was the size of my den. 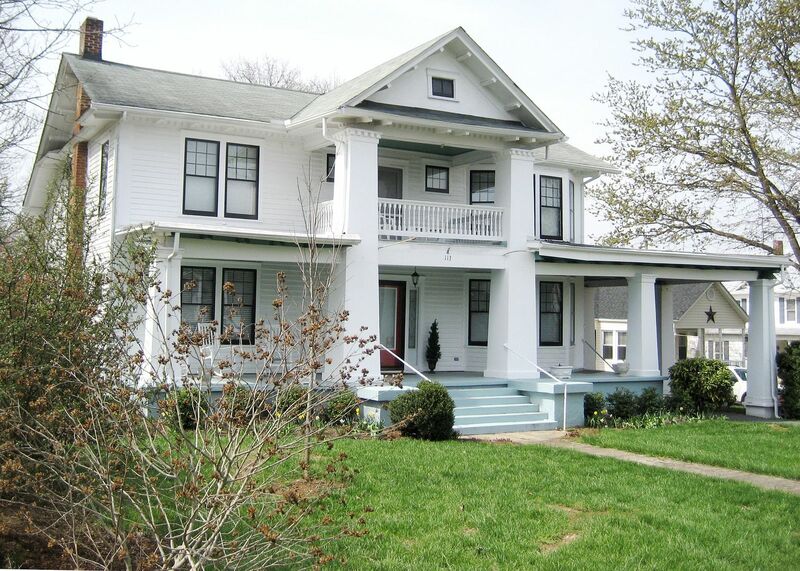 And the bedrooms in this house were the size of many walk-in closets. To learn more about the difference between Standard Bilt and Honor Bilt, click here. 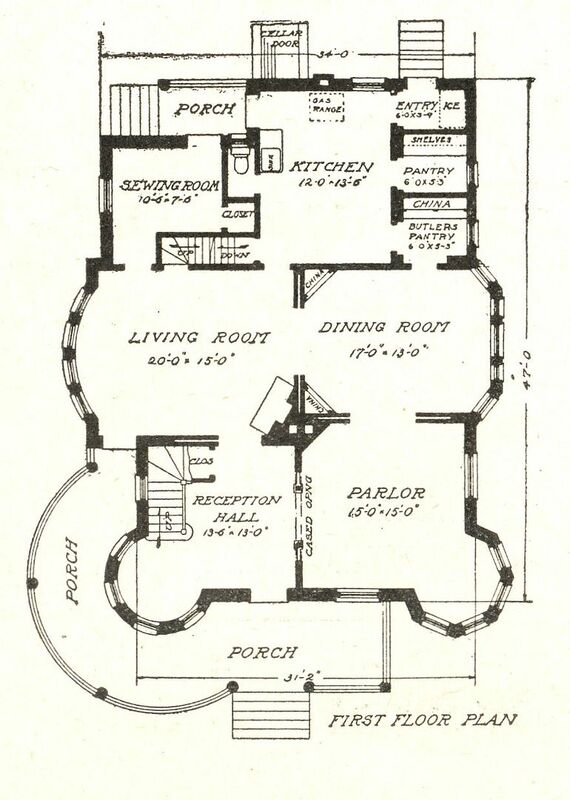 "Nice and cozy" is one way of describing a house with 480 square feet (1920). 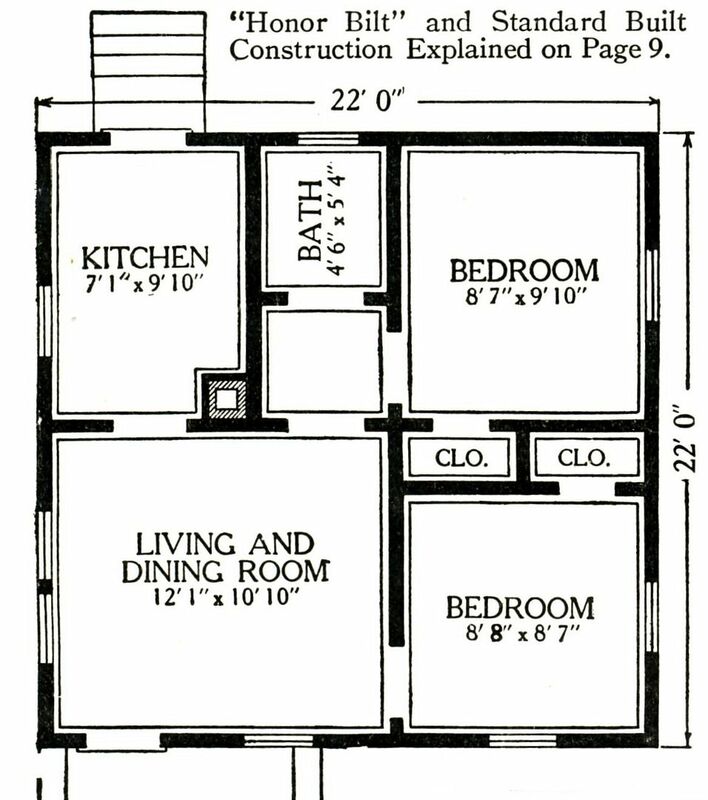 Holy moly, look at the size of the bedrooms. And the bathroom! Not enough room in there to change your mind! 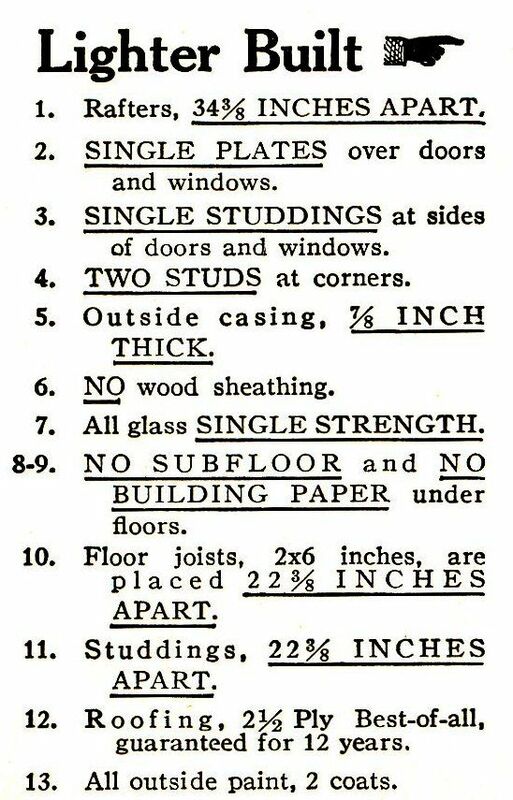 (The Delevan, 1921 catalog). Now this is a real puzzle. 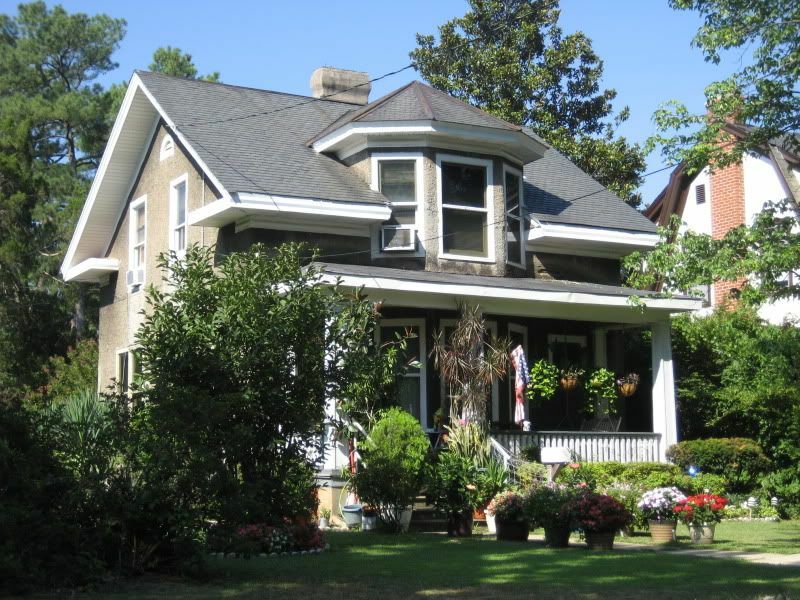 If you look at the houses on Gamble Street in Shelby, there are no Delevans. 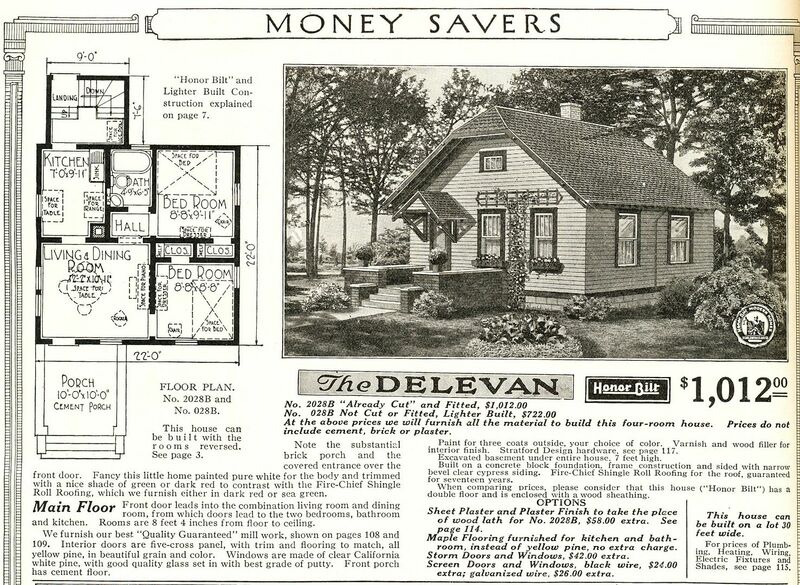 This insert appeared on the page with the Delevan (see above, just beside the home's floorplan). And yet, there on Gamble Street you'll see a Sears Fullerton. 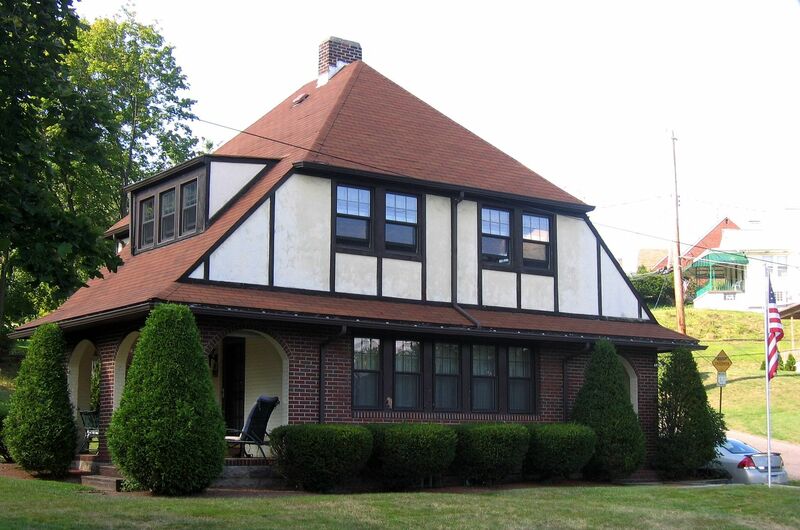 What exactly did Mr. Thornill build? 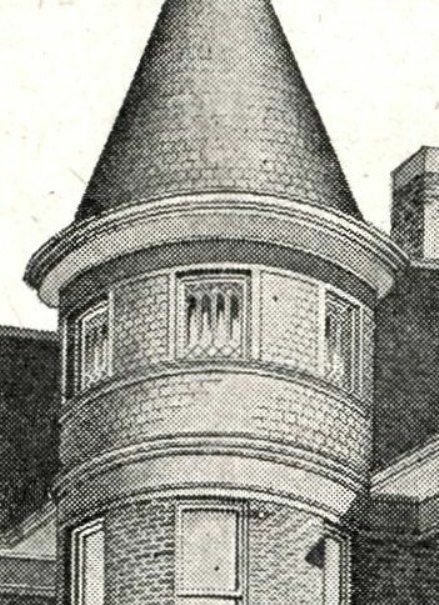 The Fosgate appeared in the 1925 catalog. As you can see, it looks a whole lot like the Delevan. The lone obvious difference (from the outside) is that the Fosgate does not have a window in that front bedroom, where the Delevan DOES. The Fosgate is also two feet longer and wider, and it is "Standard Bilt" compared to the Honor Bilt Delevan. 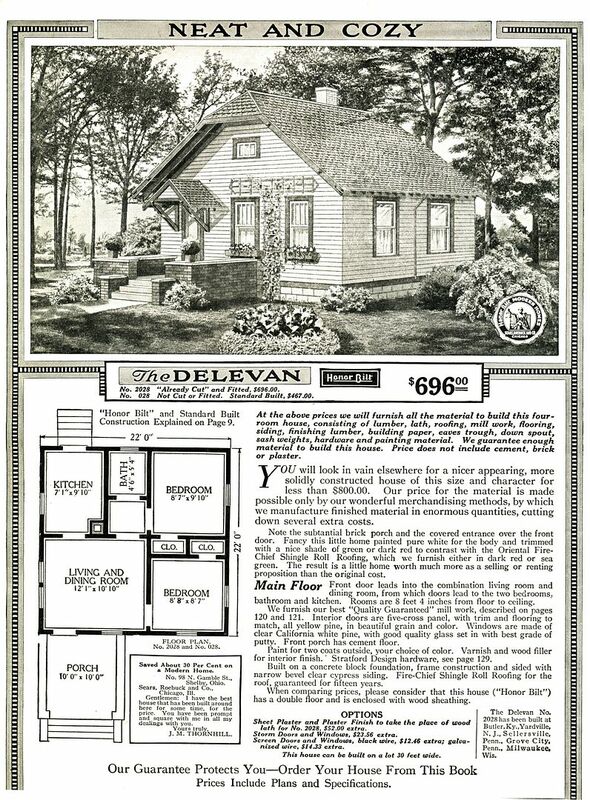 The Delevan was a pricey little affair in 1921. 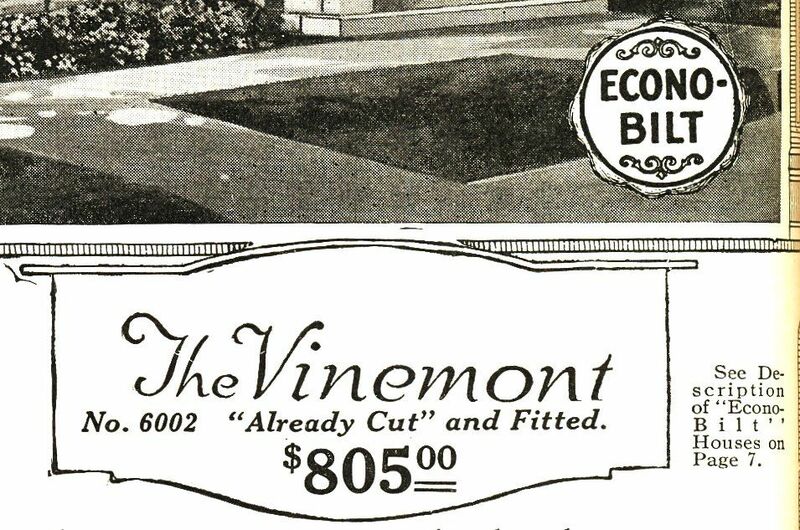 The year before, it was a mere $696. Located in Laconic Lacon, Illinois, is this a Fosgate or a Delevan? My first impression is that it's a Fosgate (because of the width). 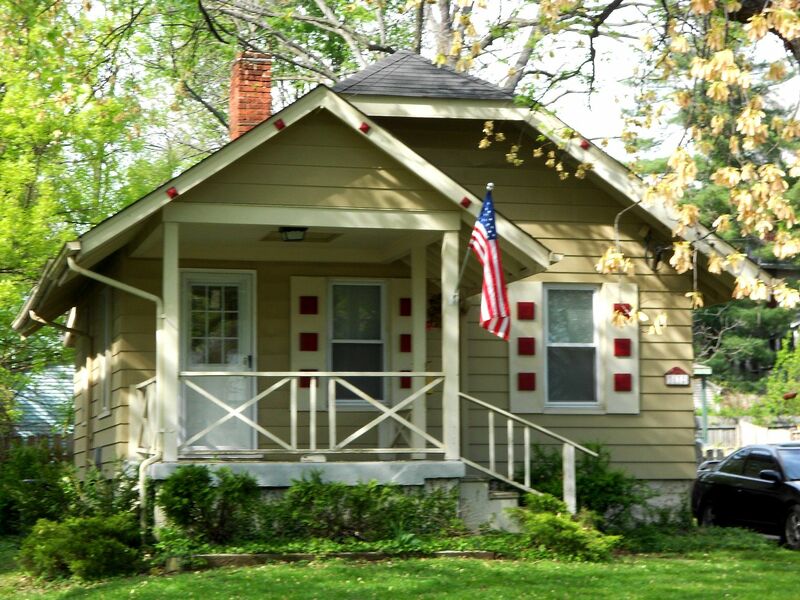 To learn about Addie Hoyt Fargo, click here. Or so my husband tells me - frequently. 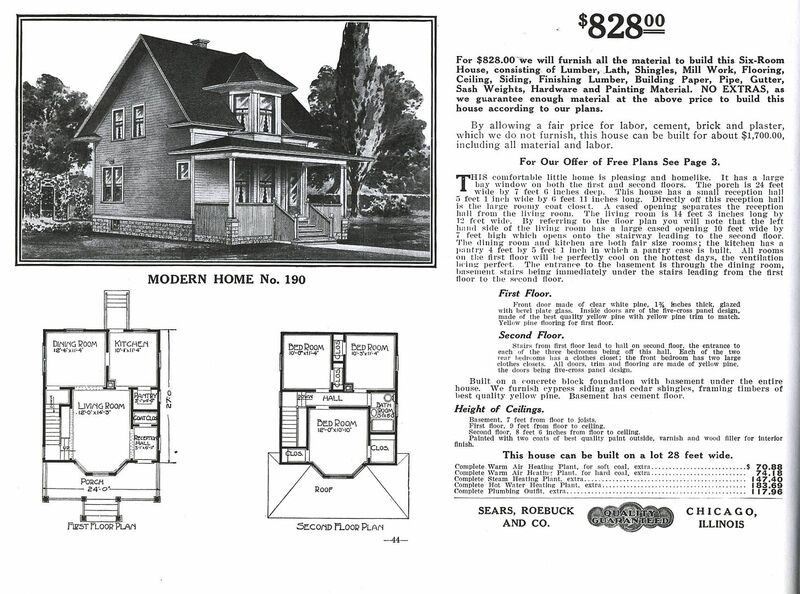 But I’d have to say that Sears Modern Home #190 was not one of their better designs - in terms of attractiveness. 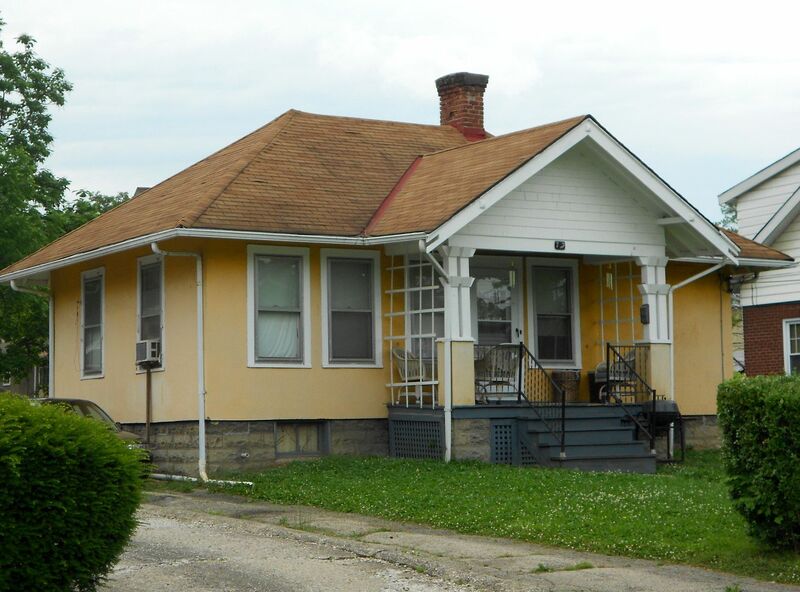 Perhaps others thought so, as well, because I’ve only seen one of these kit homes and it was in a tiny town in Illinois. 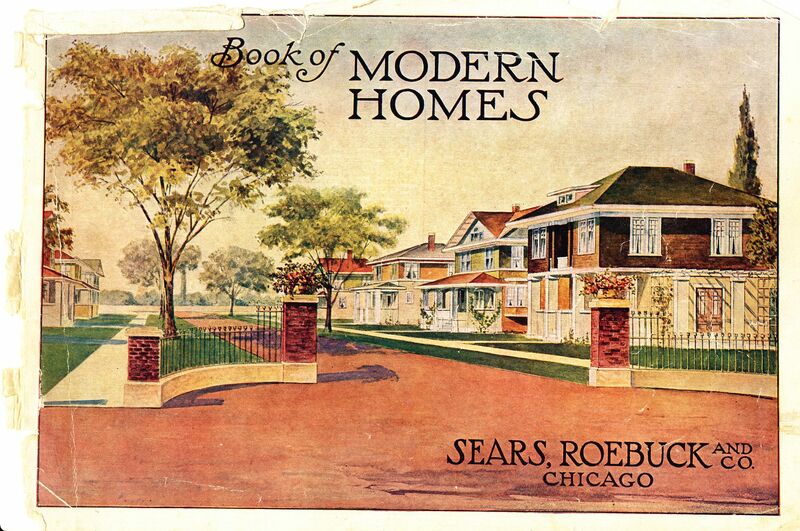 Sears Modern Home #190 was gone well before 1918 (when Sears Homes were given names). I’ve only seen it in the 1912 catalog. It’s not in the 1910 and it’s not in the 1916, so apparently, it didn’t last too long. 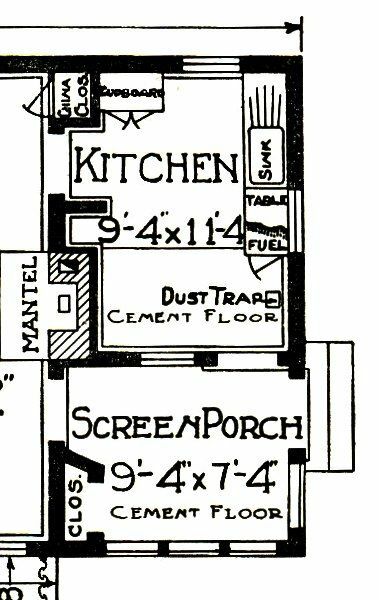 An unusual floor plan, for sure. 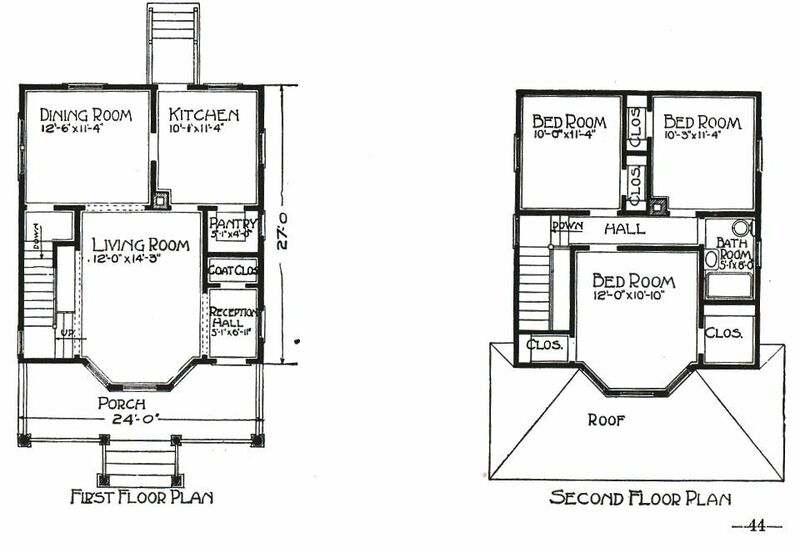 Plus, it has a coat closet?? That's unusual. 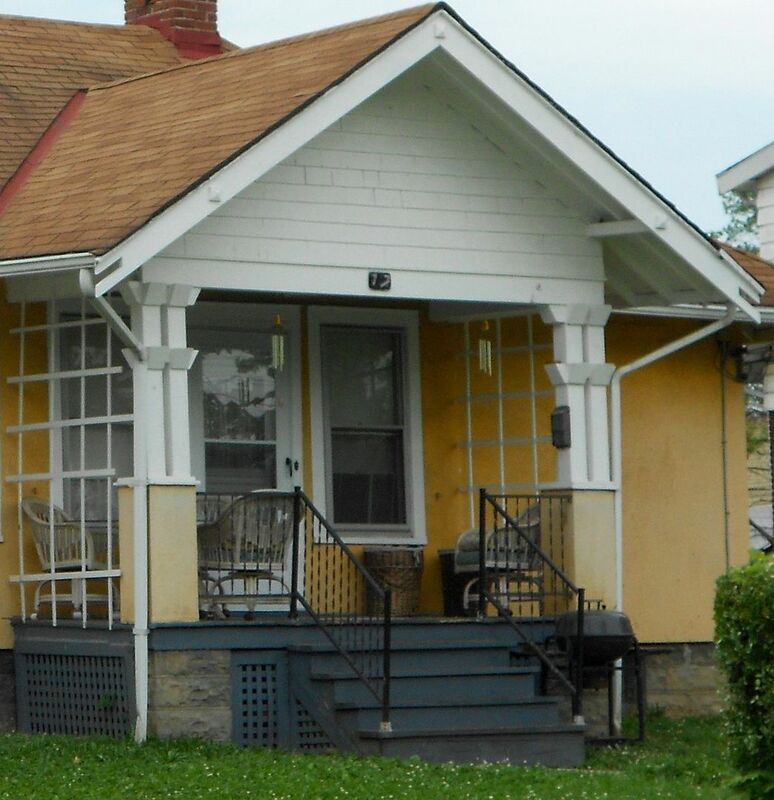 The polygon bay (first and second floor) is the most prominent feature on this little house and makes it easy to identify. 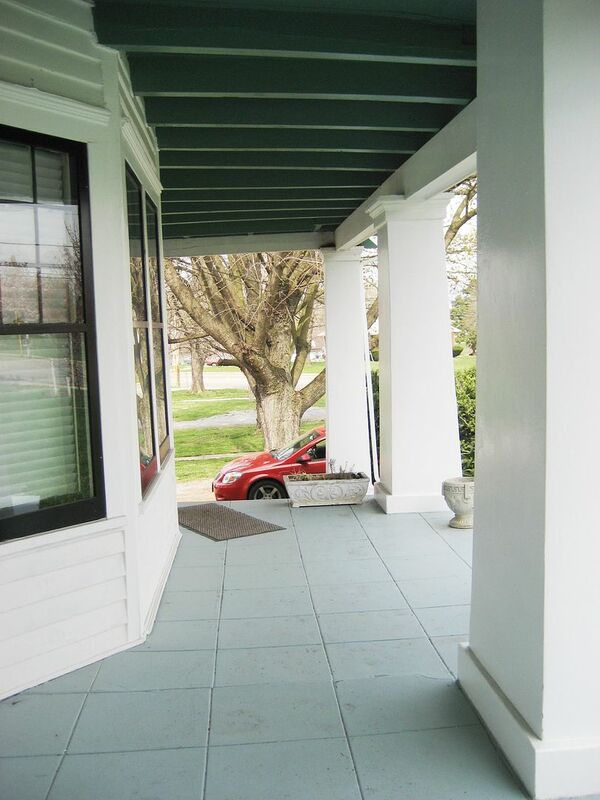 On a house of this vintage, you may find a centered bay on the first floor, but it's unusual to see it extend to the second floor. Kind of has a face only a mother could love. 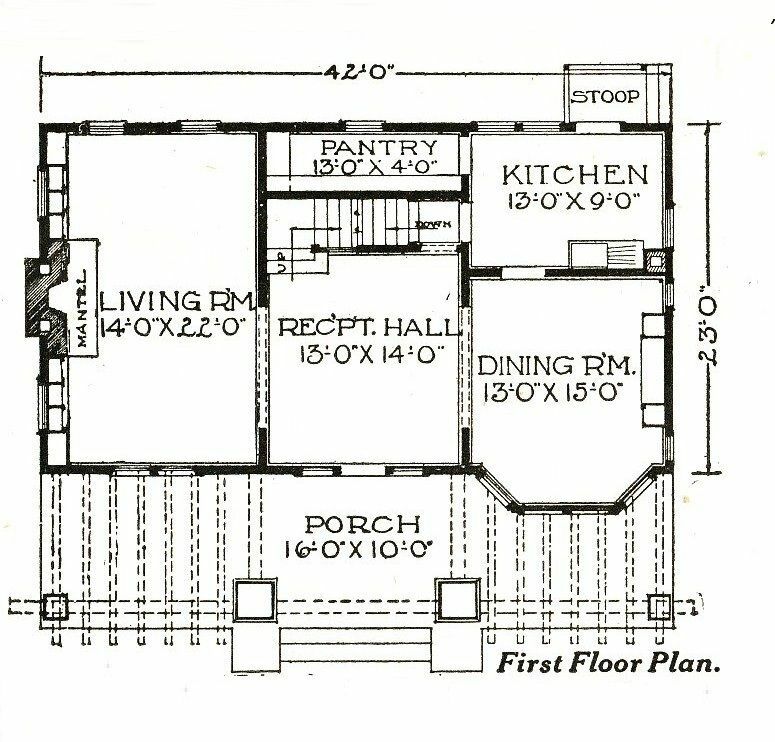 Is this Sears Modern Home #190? 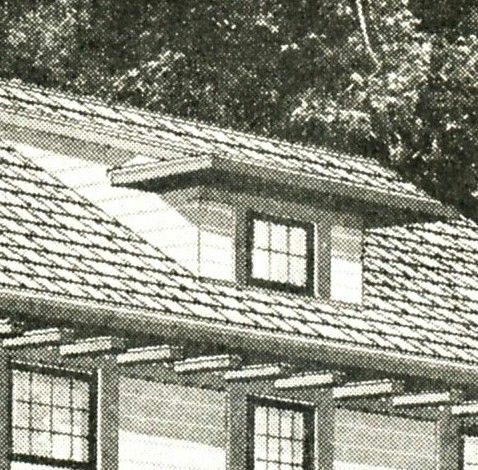 The porch roof is different (shed vs. hip), but porches get rebuilt , plus there was a tornado that went through this area in the 1930s and did a lot of damage to a lot of porches. My first impression (and second and third) is that this *is* the #190. 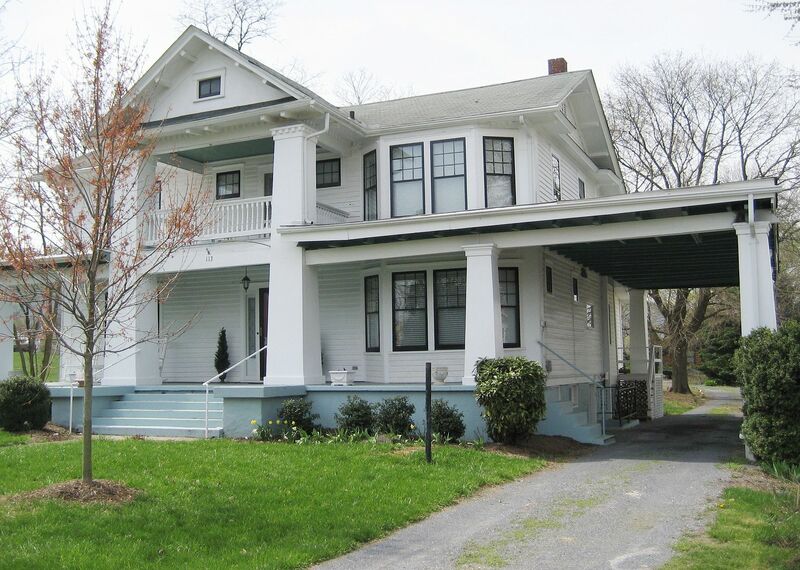 This actually looks *more* like Modern Home #190 because (unlike the house above), this home has in Richmond has the massive cornice returns. 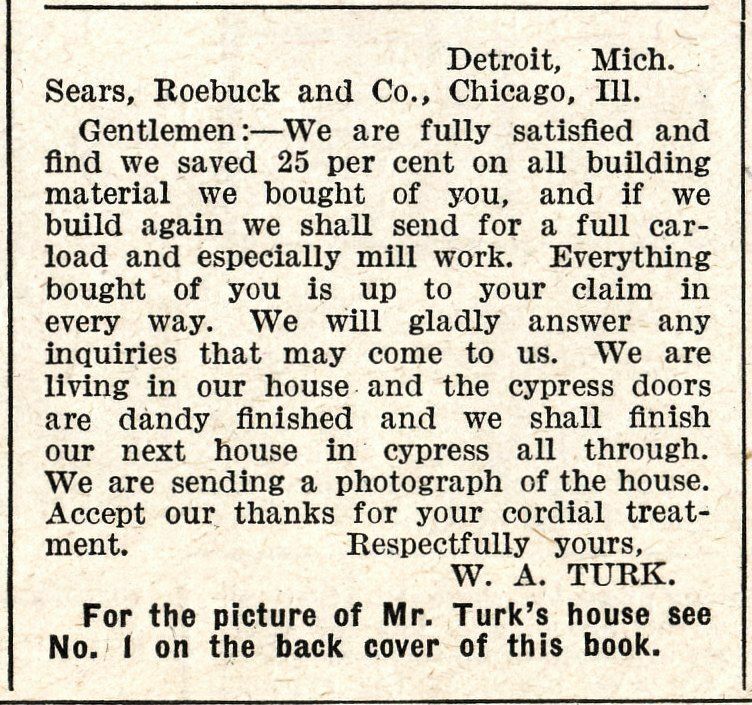 Did you know that Buster Keaton did a short on Sears Homes?